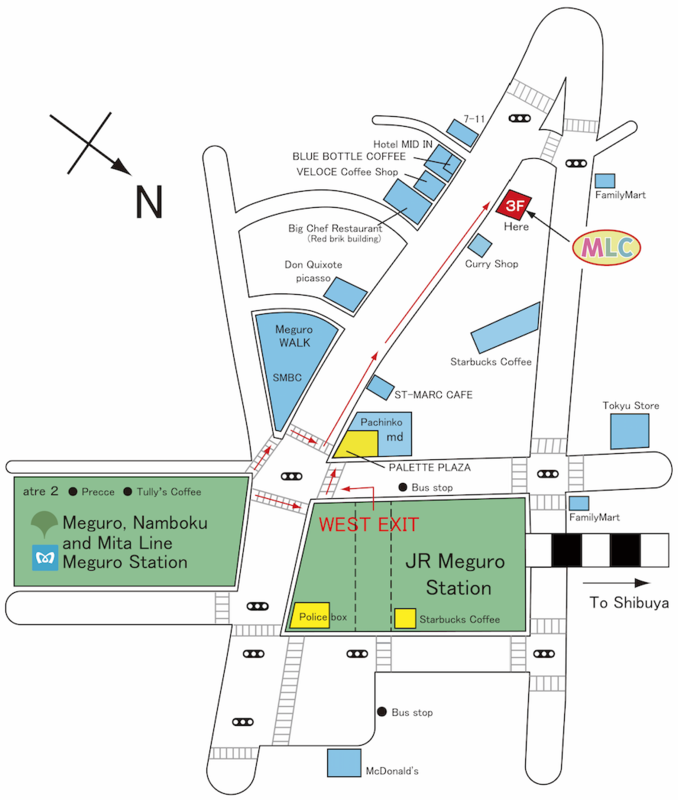 220 meters, 3 minutes from the Meguro Station! 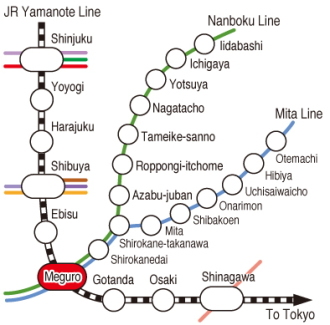 Easy to commute from Tokyo, Shibuya, Shinjuku, Roppongi, Hiroo, Azabu, Shinagawa, Gotanda, Ebisu. Take the stairs in the center of the Yamanote Line platform. As soon as you exit, turn left to the west exit, go up the stairs. Go to the left and cross the street to the right, then walk straight ahead for 160 meters. We are on the 3rd and 4th floor. It takes about 3 minutes from the station, so if you have walked more than that please call us. As soon as you exit to the street level, turn left and walk down 140 meters to the first traffic lights. Across the street to the right side at the traffic lights and walk down the street for about another 20 meters. We are on the 3rd and 4th floors. It takes about 3 minutes from the station, so if you have walked more than that please call us.